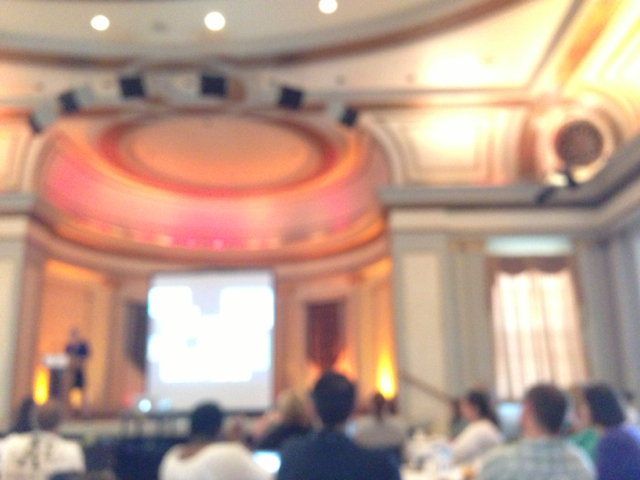 Earlier this month, I was given an opportunity to attend the inaugural Playful Learning Summit in Madison, Wisconsin. It was a full day of playful learning workshops, conversations, and professional development dedicated to educators, education researchers, and web/app developers who have a keen interest in creating game-ful and playful learning experiences for students. 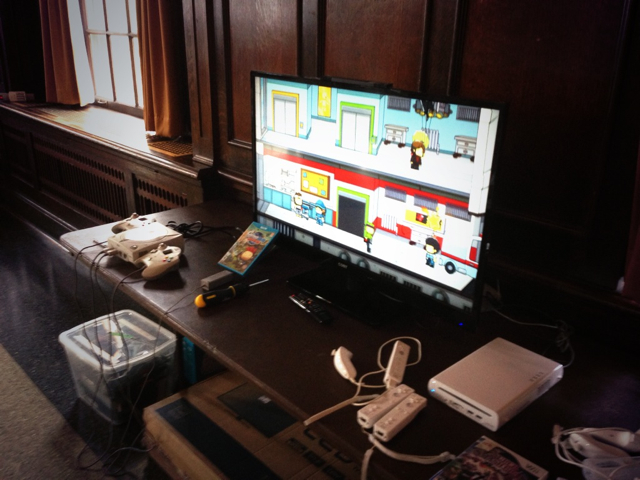 That’s right, a game-ful environment, NOT a “gamified” learning experience. The summit was part of the larger Games Learning and Society Conference, or GLS, a gathering much akin to the Games 4 Change conference in New York, but on a slightly more intimate scale. If you love games (video or otherwise), and strive to find ways to create playful learning experiences for your learners, I highly recommend attending next year. The GLS conference is an interesting mix of educators, developers, researchers, and theorists that gave rise to sessions about multiplayer gaming & collaboration in the classroom to effective analysis and research tools for digesting click-stream data from educational game-based apps (a topic that took me a bit of time to figure out). Dani Herro’s keynote helped me better understand the underpinnings of game-ful and playful learning a bit better, but I’m still fuzzy about some of the details and implications for K-12 education. I was particularly fond of the opening keynote speaker, Dani Herro, an educator working with Clemson’s Digital Media and Learning Lab attached to their school of education. Dani is the most recent addition to my list of “edu heroes” (no pun intended), a small yet growing collection of mostly constructivist and game-based learning theorists and practitioners. While I wasn’t entirely new to the playful learning concept, I would consider myself a “noobie” when it comes to understanding some of the deeper implications of game-ful learning. I highly suspect that many teachers already include elements of play and lusory attitudes in their instructional environment, but do so in unconscious and informal ways. 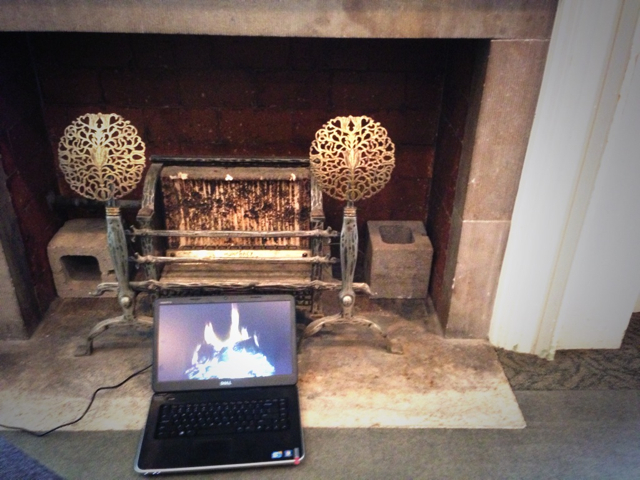 You know you’re at a playful gathering when you see someone donate the use of their laptop all day long for this. Dani challenged us to ask “what is playful learning?” From the simple steps we take to help “game” classroom behavior, to the more powerful methodology of allowing students to set their own goals, risks, and rewards, there are many levels in which we can “play” with what and how our learners assimilate and reconstruct knowledge and information. The conversations around these topics are of personal interest to me, as I always sought out simulations and interactives with which my students could better play with a concept, and develop some sort of working knowledge, rather than rely on book reading alone. I personally have recently accepted an advisory board position with the Playful Learning Network to better explore, understand, and share how digital games can be used within the context of learning, as I recognize that there’s an emergence of both serious games, mainstream games, and simulation-based games to help students explore learning in ways that might have been restricted to pencil and paper previously. 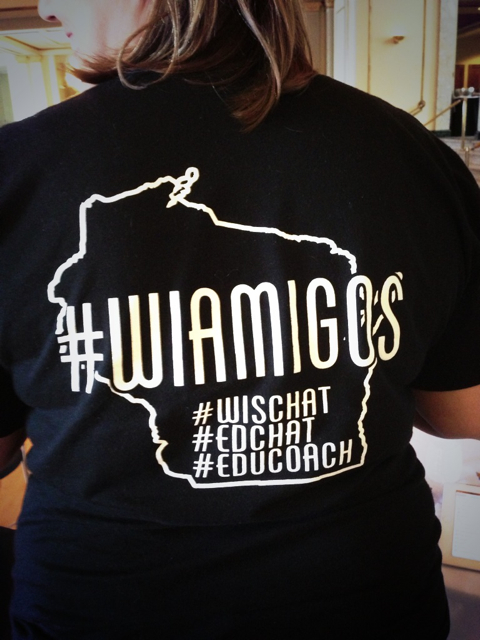 I found some #michED spiritual brothers and sisters in the #WIAMIGOS group of Wisconsin educators. Groups that can transcend the digital connections to form real-world connections are some of the most powerful and productive. Particularly noteworthy in Dani’s speech, and the workshops throughout the day, was an emphasis on the connections we form among ourselves as learners, with technology becoming de-emphasized as it enters a new, more ubiquitous role in education. I love that lots of people are talking about this regardless of where you go in education; increasingly it’s all about the connections, rather than the tech. During the social lunch period conversations about the intersection of personal interests and passions, aspects of the home-school peer tutoring culture, and production-centered academically oriented learning environments were all fair game. Dani emphasized that a lot of these conversations are happening among our “Digital Media Networks”, and I personally see that among the digital communities I frequent, but I’ve recently been asking myself if this is necessarily the best way, or just the easiest. Local, face to face, and blended networks exist as well; it’s the reason we come together at conferences. But there’s a level of difficulty that exists in the “real world” that makes it less attractive at times than working with your digital network. Co-workers may have too many dissimilar interests, trying to coordinate schedules to meet face to face is a challenge, and when the going gets rough and our ideas are challenge, we can’t just simply “walk away” from the computer, and retreat into our digital fortresses and echo chambers. Further evidence of the amazingly playful learning atmosphere and Wisconsin hospitality. 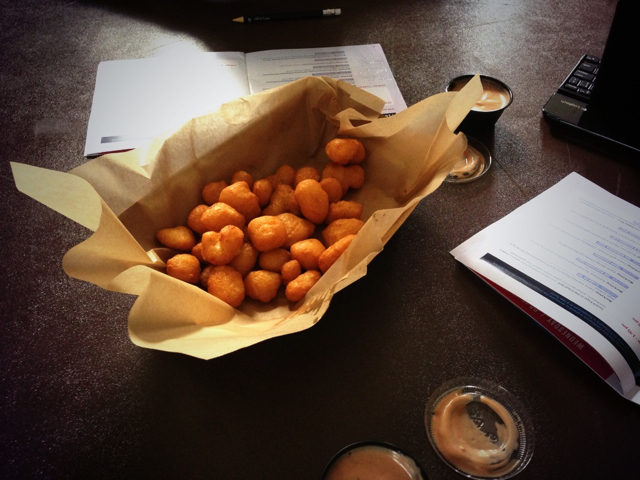 A group participating in my Video Story Problem workshop bought fried cheese curds for everyone in the workshop while working on their videos….about cheese curds. As if to drive home the point that learning should be “fun”, I was able to work with a group of very playfully minded educators, and at least one software developer, during a Video Story Problem workshop that I led during the morning session. One of the smaller work groups had excellent chemistry, and decided to put together a video story problem based around the length of time it takes to order, prepare, and then eat fried cheese curds, a Wisconsin culinary staple that rivals the Chicago style hot dog or a New York slice of pizza. Many had come to the session looking for how I was encouraging teachers to use video within games, and how assessment could be coordinated seamlessly around the medium. Sadly, I didn’t deliver what some of them expected, as we took a much more DIY approach to instruction and curricular materials development. The assessment based upon the Video Story Problem idea is still relatively informal and much better suited for formative style assessment, and the learning is much more akin to play than to game-based learning. However, I think that the open structure of the workshop, and the cheese curds, helped sway them, and in the end we had some excellent examples of video work born out of genuine curiosity and play. In short, the Playful Learning Summit, as well as the greater GLS conference, was magical. The ideas and mentions of James Paul Gee’s work were heavy in the air, and the after hours Arcade, well stocked with both serious and mainstream games, created a perfect after-note to the day’s activities. Meeting and conversing with amazing educators like Zack Gilbert, Lucy Gray, Jen Groff, Jeremiah McCall, and many more that I’m sure I’ll regret for not mentioning, in addition to reconnecting with Remi Holden, cemented the Playful Learning Summit as one of the few professional experiences in my life in which my personal hobbies and interests co-mingled with my professional role in a serendipitous way. While I’m not certain if these were Dani Herro’s closing remarks during her morning keynote, they were certainly the lasting ones for me; creating spaces for and encouraging time spent around learner agency. The incredible metaphors that exist between effective game design & mechanics, and effective classroom instruction take some of the more rudimentary theories of game-based learning and amplify them to the point where learners have choice in just about every aspect of their learning environment. We shouldn’t be focused on turning our learning environments into games, but rather adopting game-ful habits that encourage our learning environments to flow much more naturally and authentically, in ways that encourage students to adapt and grow in ways that help both the teacher and learn alike. http://www.k12lab.org/ – K12 Lab network looks like a good stepping stone into the play space. This was an interesting article and I appreciate the resources. I am really enthusiastic about game based learning as an educational approach. Thank you for sharing the resources.